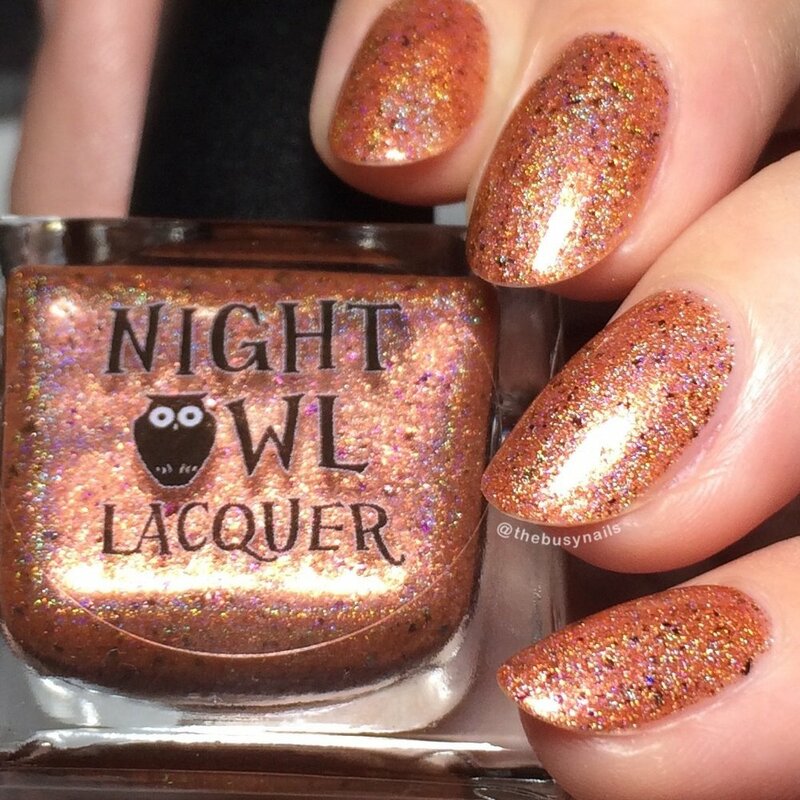 These release Friday, November 10th at 8 PM MDT in the Night Owl Lacquer shop. All polishes will also be available individually at $9 each with the exception of Time After Time (copper holo) which will be $11. 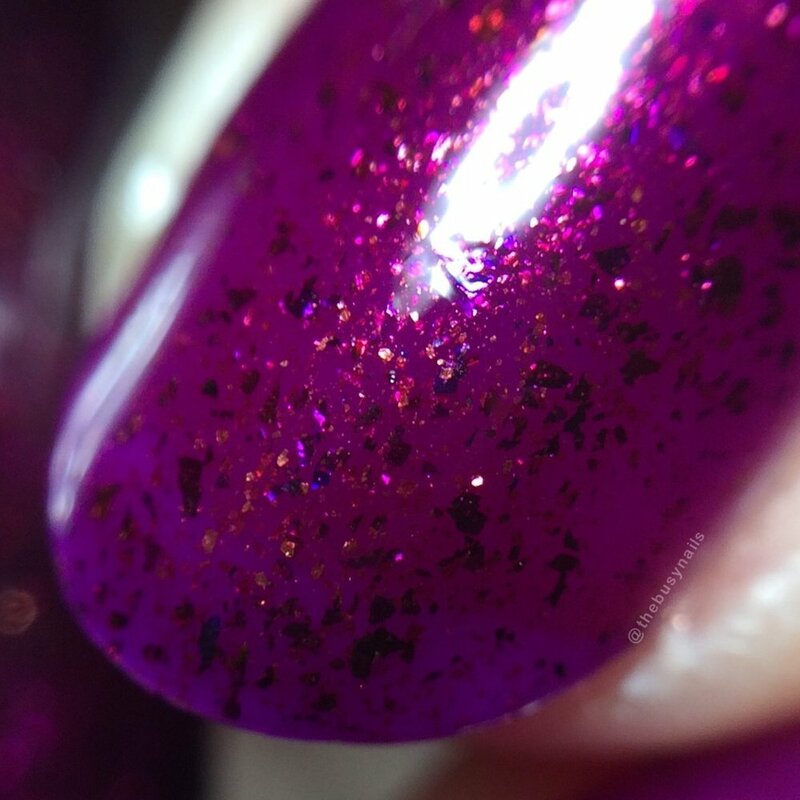 There is also a gorgeous Facebook group custom polish called "Sorceress of the Sea" releasing at the same time. You'll want to take a look at that one too, trust me. 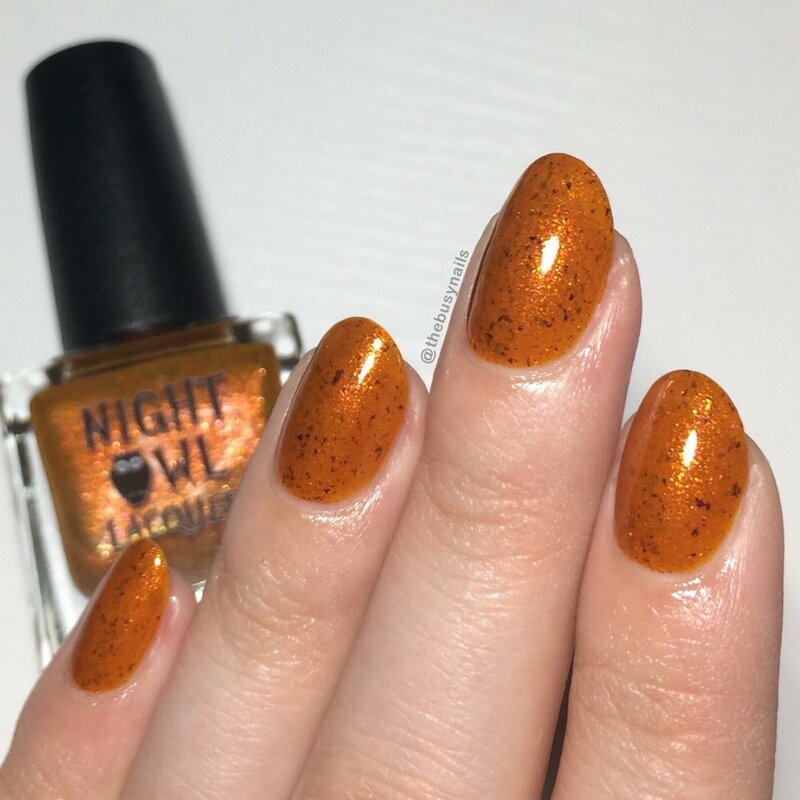 All photos in this post are taken under artificial light, using Talon Super Swatch & Peel base coat by Nail Hoot, (a clear peel-able vinyl base), and all are topped with Glisten & Glow HK Girl topcoat. The only exception is Cuddles, Snuggles & Nuzzles which I used a Sally Hansen base coat under since I wore it as a full mani. These polishes were provided for my honest review. Let's get into the swatches! Great formula! I did absolutely no cleanup for these photos. 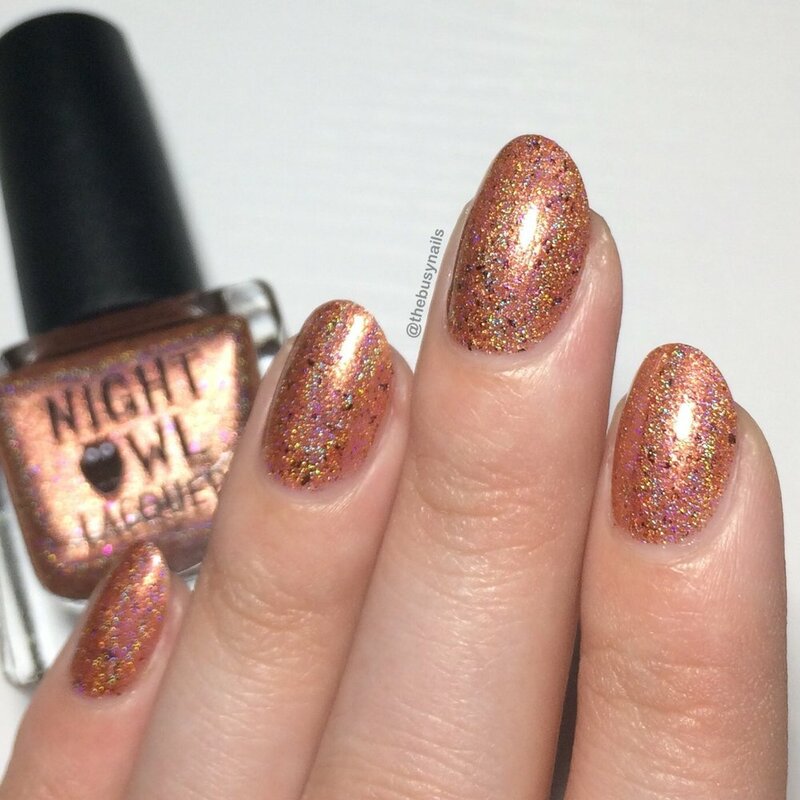 The holo is very strong and the extra little flakies stand out to make this one unique. I love the color too. To me, it's sort of in between a copper and a washed out orange. Maker description: A dark yellow with bright copper shimmer & red/copper/orange/gold ultra chrome chameleon flakies. 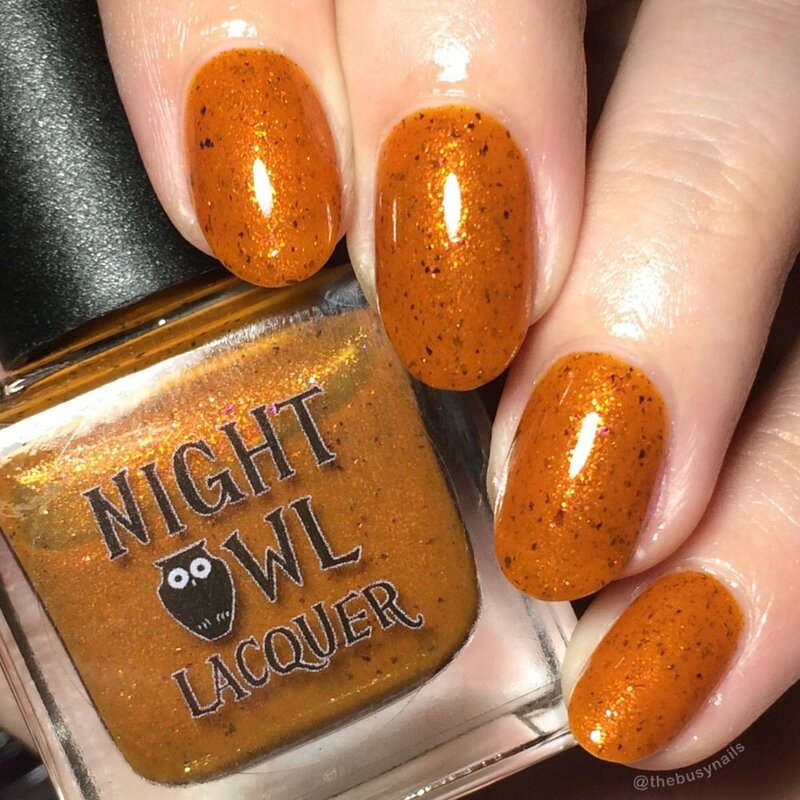 This jelly shade is the most unique of the bunch, riding the line between a dark yellow and a darkened orange. On me, it leaned more orange, but a cool, grungy shade that's really unique and perfect for all the ugly-color lovers out there, myself included. I didn't love it quite as much as I expected too, only because it wore more orange on me than the grimy yellowish shade I wanted it to be. The name is too perfect though - this is basically a gourd in a bottle. Maker description: A deep garnet red with bright copper shimmer & red/copper/orange/gold ultra chrome chameleon flakies. GREAT formula! This is somewhere between a crelly and jelly, and practically paints itself. It's VERY rich and saturated, so I recommend avoiding your cuticles. My nails basically looked like rubies with this polish on. 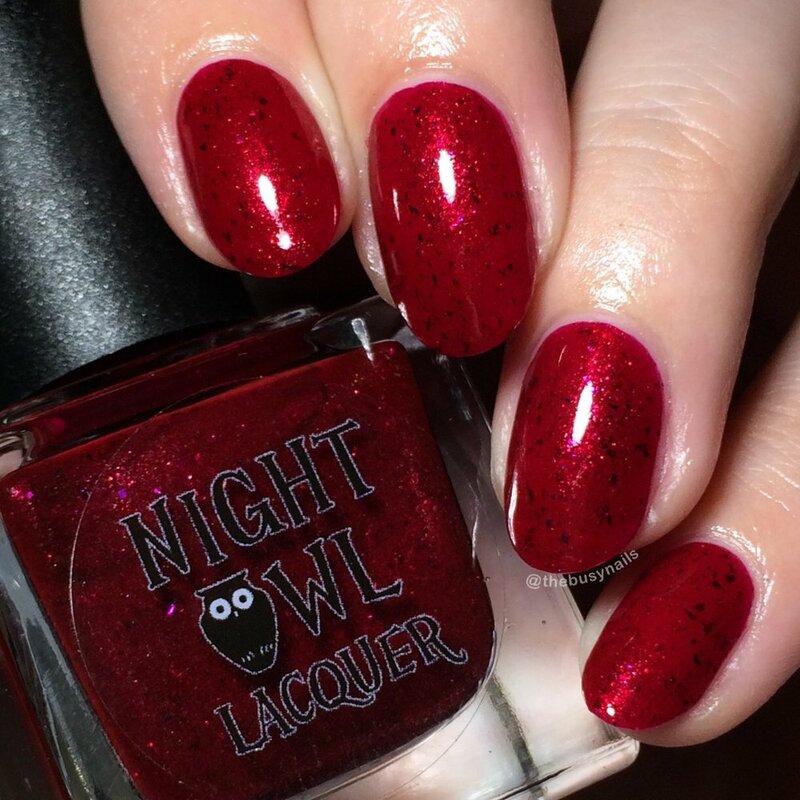 It's a perfect red for the upcoming holiday season, or honestly, any time you're feeling sassy. Maker description: a dark plum purple with bright copper shimmer & red/copper/orange/gold ultra chrome chameleon flakies. NOTE: This was more opaque on me in person, in all lighting, than it appears in the close-up photos. 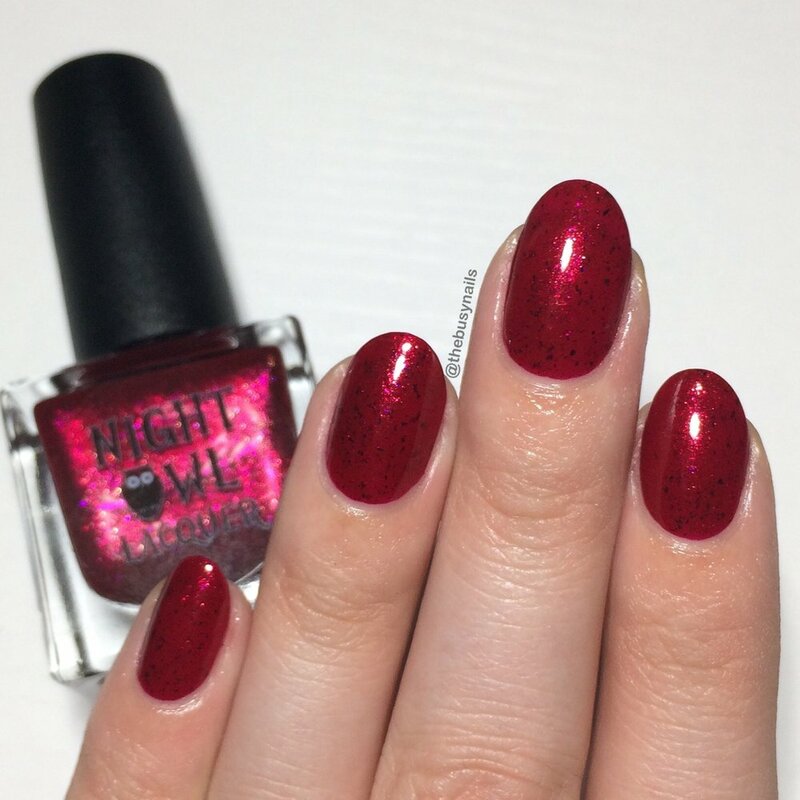 The formula is good on this shade, but it very much required three coats, and because it's a crelly/jelly, you'll want to make sure your coats are even so you don't end up with dark or light patches. I really, really love this shade. I actually wore it for nearly a week before swatching the rest! I had excellent wear time: 5 days with NO chipping, just normal, barely-there tip wear. So which one is your favorite? For me, its a tie between Fall in Love and Cuddles, Snuggles & Nuzzles. They're both so rich and really beautiful. 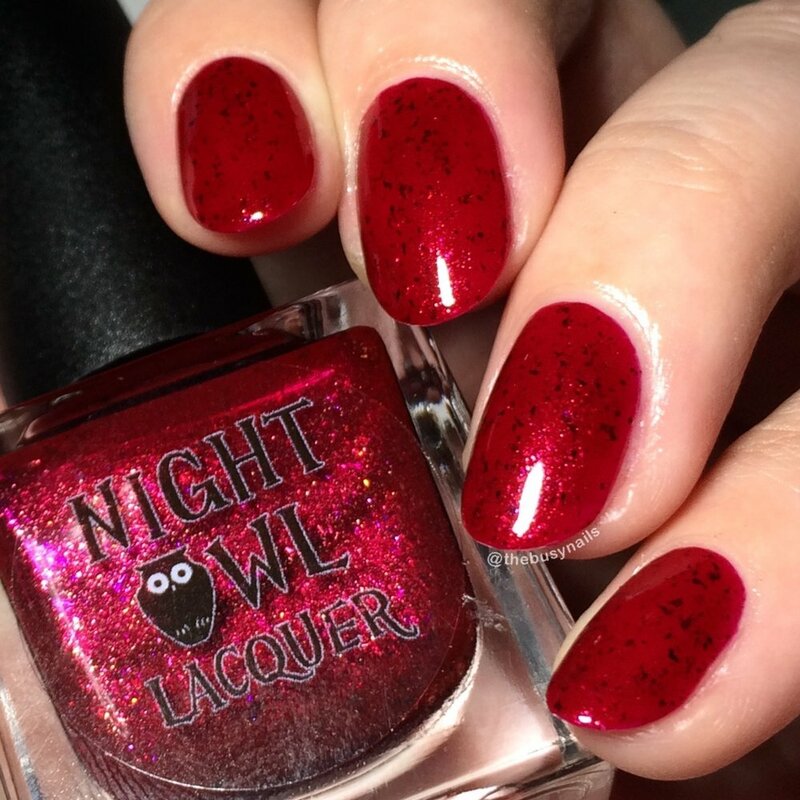 Once again, these release Nov. 10th at 8 PM MDT in the Night Owl Lacquer shop.